Greg Hicks attended culinary school at Johnson and Wales University in Charleston, SC and has worked in independent restaurants, healthcare, and university catering settings before opening Impressions Catering in 2001. As a “one-man-show” for the first 9 years, burn-out was inevitable and on the horizon. Impressions was busy and broke! After seeking help from a small business councilor in 2010 and attending the Catersource conference since 2011, Impressions Catering has been “reborn” and began to focus on better business practices, systems, and sales. Hicks and Impressions Catering have been recognized as the “Best Caterer” by a local newspaper’s readership, “The Rising Star Business of the Year” by the Tennessee Small Business Development Center, Greg was named the Mel Bedwell Small Business Person of the Year in 2015 from his local Chamber of Commerce, and was recently inducted into his high school alma mater Hall of Fame. Impressions Catering is active in its community, giving back wherever possible. The Impressions team is a driven, passionate, creative force that is constantly tossing around new ideas and trying to step up their own game at each event they produce. 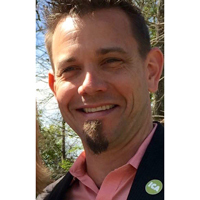 Greg is passionate about helping other caterers solve problems, grow their companies, and succeed has served on the CSES education team, a CSES conference presenter, and a CSES ambassador. If I Get Hit by a Bus, You're in Charge!